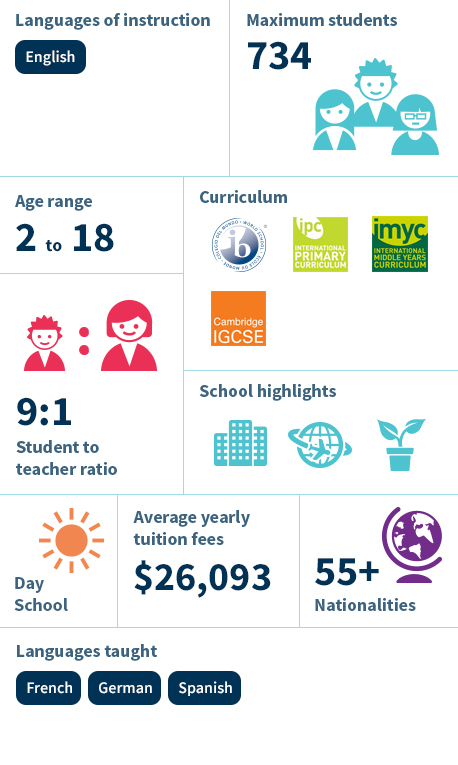 Why choose a Nord Anglia Education school? The Global Orchestra, New York. 61,000 students, 61 schools, 28 countries. Nord Anglia Education is the world's leading premium schools organisation. We welcome students from over 100 countries and our bespoke language programmes support those who are not native English speakers. We want your child to thrive. Our schools are relentlessly focused on delivering the best possible education to your child. We believe that a global education will benefit your child while they are at school, and importantly, in their later life. When you join a Nord Anglia Education school you become part of a global education family. Find out the latest news from our family. Our Washington DC private school is authentically international and puts your child's success at the center of everything we do. Our results speak for themselves. Discover a community that will prepare your child for global achievement. From early years languages to the International Baccalaureate, the British International School of Washington provides a unique focus on developing a global mindset in your child. Based in an iconic city that attracts great minds from around the world, we nurture students to explore their interests and pursue their dreams. Located in the nation's capital, our Washington school offers a premium, tailored education that values character as well as curriculum. Our approach to learning combines British rigor with a truly international mindset, and our friendly, welcoming community helps to nurture great achievers of the future. With over 94% of students attaining a full International Baccalaureate diploma, the British International School of Washington is the perfect place for students who wish to embrace their potential. Our commitment to high-quality teaching and an international perspective will help your child to achieve wonders. If you are enquiring about a place for your child at one of our schools, please use the Admissions Enquiry form. If you are enquiring about a career with Nord Anglia please View all Vacancies. Please tick this box to give us your permission to send you information about Nord Anglia in future which might be regarded as direct marketing. Is there anything else you would like to tell us?